With the launch of the NBA 2K league, 102 of the world’s top NBA 2K players will now earn a six month salary, receive first-class housing accommodations and will be eligible for a variety of benefits, including health, vision, and dental insurance. Each player drafted in the first round earns a salary of $35,000 and every other player drafted earns a salary of $32,000. In addition to the player’s six month salary, the competitors will also be vying for a portion of a $1 million prize pool with the prize money apportioned over of a variety of tournaments throughout the season. This new career for many and sudden influx of income for most creates many new business and legal considerations for a professional 2K gamer. These include trademark and “personal” brand matters as well as taxes, immigration, and contract negotiation and review issues. A trademark registration in a player’s “gamer-tag” provides the owner with the ability to actively police and prevent other individuals from “stealing” or otherwise impersonating the established gamer. This includes preventing a non-owner from utilizing a protected gamer-tag in another game as well as protecting against an imposter adding a slight modifier, such as a number or letter, to an established gamer tag and then using it. For example, if “WorldWideJust” is a protected gamer-tag owned by a NBA 2K gamer and an imposter “WorldWideJust1” creates a YouTube account, there could be potential confusion if the imposter account begins transmitting NBA 2K related content on this social media account. This potential consumer confusion could be prevented with a valid trademark registration, as the registration allows the filing of an infringement claim with various social media platforms, including Facebook, Twitter, Instagram, Twitch, and YouTube, to retrieve or block the infringing account. Further, when a player desires to enter into a sponsorship arrangement, the existence of registered trademark is valuable. This is due to the potential sponsor desiring some identifiable asset, such as a player logo or name, and a registered mark provides clear information on who owns what mark and for what type of goods or services. Thus, the lack thereof, can become problematic and a potential barrier to business dealings with many third-parties. The existence of a valid trademark registration for a gamer-name also provides the owner with the ability to license or sell the mark and the “good-will” associated with it. While it is not mandatory to apply for protection in a gamer’s name, if any unauthorized third-parties begins selling merchandise or other infringing products bearing the player’s gamer-tag; without a valid trademark registration, the gamer would not have much recourse to address this. business entity to operate from. A business entity, such as a corporation or limited liability company (LLC), may be created by the gamer. The selection of which business entity to form is an initial crucial decision. Whether the 2K gamer forms a C-Corporation, S-Corporation or LLC, typically depends on which state the entity will be formed in and which state the player permanently resides in or has a steady physical residence. It is prudent to consult with a qualified professional, such as an attorney or accountant, when deciding which type of business entity and which state is proper for a particular gamer. tracking of the related expenses and permits the deduction or “writing off” of relevant, properly documented business expenses. Speaking of taxes and potential “write-offs,” another chief legal concern is a player’s tax treatment. 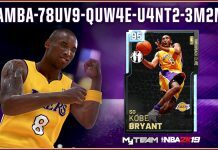 In particular, a professional NBA 2K competitor is subject to personal income tax in the state that they reside in as well as any other states that the gamer derives income from. For instance, the salary of a pro gamer playing for Kings Guard Gaming located in Sacramento California is taxed by both the State of California (where the player resides) as well as the State of New York (where the player does not “reside” but derives income from by participating in competitions in New York). This means that since the 2K gamers are playing in New York; they are subject to non-resident income tax, sometimes referred to as a “jock tax.” In particular, this law imposes a non-resident income tax on visiting professional athletes who have earned income within the state. N.Y. Tax Law § 631(c). This tax applies to any funds that the gamer earns in the state for any form of work on behalf of their employer such as a media appearance, team practice, tournament or a game. In addition, any additional tournament winnings earned by a gamer in any of the in-season tournaments are also subject to the applicable state and federal income taxes. As mentioned earlier, a professional gamer, in particular one who forms a business entity, may be entitled to recoup some of their documented business expenses. These expenses can include the cost of the equipment to record and stream the content, marketing or promotional services used to promote their streaming channel (i.e. Facebook-paid “boosts” or Twitter advertisements), video recording or editing software used to create the final content as well as any costs associated with data storage or transmission of the stream, such as Internet costs. Also, any associated travel costs, such as food and drinks purchased during a gamer’s business trip (e.g., weekly trips to New York for games) as well as any transportation costs (e.g., costs from the hotel to the gaming facility) may be deductible. In addition to the above legal and business considerations, a gamer that is a foreign citizen (non U.S. citizen) or a U.S. citizen that is working in a foreign country (e.g., U.S. citizen playing in Toronto, Canada) must be aware of any visa and immigration matters. Generally, any non-U.S. citizen is required to obtain a U.S. visa to compete as a professional video gamer in a “for-profit” venture, such as in the NBA 2K League. This means that proper work visas are needed for non- American citizens to earn a wage in the United States. Typically, visa processing takes several weeks or longer, depending on whether “Premium Processing” is utilized and on which embassy a petitioner is applying to. For example, visa delays caused two prominent NBA 2K League participants, German citizen, Jannis “JLB” Neumann of Mavs Gaming and United Kingdom citizen, Jamie “Gooner” Bull of Pacers Gaming from joining their respective team until a few days prior to the start of league play. While one of the most important terms of an agreement, the payment, was initially agreed upon by the NBA 2K league, going forward a gamer should have additional leeway in negotiating their player salary. In particular, a pro gamer should be aware of the need for the negotiation of the gamer’s future player contract with the professional team. This includes understanding the provisions as well as both the short and long-term ramifications of the various terms listed in these typically long and ambiguously written documents. As with any initial draft, the agreement is typically slanted in favor of the agreement creator, the league. Thus, it is prudent to read the contract or work with a qualified professional to ensure the gamer fully understands all the clauses. A third-party professional such as an attorney or player representative may be able to provide insight into how to best negotiate the “deal” to benefit their client as much as possible. Again, it is not mandatory for a player to receive contract review and negotiation assistance; however, since the agreement the gamer signs will control the team-player relationship, it is prudent for a gamer to understand and be comfortable with the deal that they are executing. 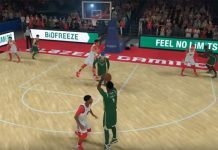 As we have discussed, there are many business and legal considerations that a professional NBA 2K competitor should be aware of. These include trademark and “gamer-tag” protection, business and tax matters, visa and immigration, and contract negotiations. 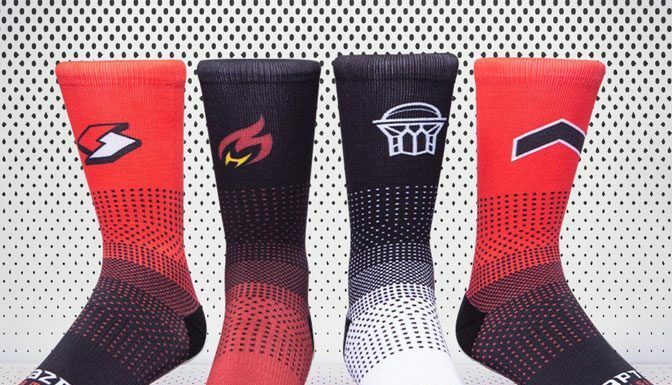 Overall, as the league continues to grow and as the player’s profiles and impact continue to expand, the need to fully explore these ancillary business matters becomes even more important. Contributed by Justin M. Jacobson, Esq. This article is not intended as legal or business advice, as an attorney or other professional specializing in the field should be consulted.